Back in 2014, the Jordan Brand released a “futuristic” version of the revered Air Jordan 11 silhouette that equipped its same iconic sole unit but reworked its uppers to boast a seamless, one-piece construction. Five years later, the Future has become a bit of an afterthought of sorts with colorways arriving at retailers with relative infrequency. 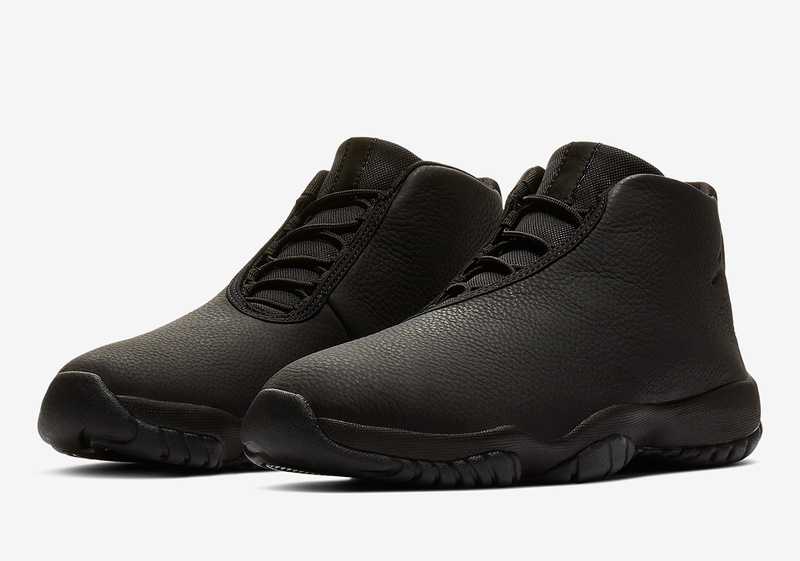 For its next act, the Jordan Future calls upon a luxurious Triple Black construction that swaps its customary woven or mesh upper with an attractive tumbled leather kit. With official images of this luxe creation available below and stock having arrived on Nike.com overseas, enjoy aa detailed set of images and expect a Stateside drop in the coming weeks.